Your BMI Says Very Little About Your Health. So Why Do We Still Use It? Anyone who's had a physical or participated in high school gym class is probably familiar with BMI. Those three little letters, which stand for body mass index, would have you believe that a simple math problem is all you need to calculate and rate your overall health. If this sounds simplistic, it is! Many experts -- including the person who invented it -- say BMI fails to fully capture the state of a person's health. Yet it persists as a go-to indicator of well-being, even though there are more effective, relevant stats that can paint a more complete picture. Body mass index measures a person's height in relation to their weight. It's calculated by taking your weight in kilograms divided by your height in meters squared. If you'd prefer to keep the math stateside, your BMI is your weight in pounds multiplied by 703, all divided by your height in inches squared. Whatever number you come out with is your BMI, and if it falls between 18.5 and 24.9, you're normal. Congrats! Any number below means you're underweight, and above the range means you’re overweight, possibly even obese. What weighs more: a pound of muscle or a pound of feathers? But just because you fall into a range of BMI -- underweight, normal, overweight, or obese -- doesn't mean that’s what you indeed are. BMI doesn’t recognize that you could be lean because of unhealthy behaviors like crazy diets or illegal substances, or even that you might be super tall. At the same time, BMI doesn't differentiate between the muscle builder in the gym and the couch potato who have the same height and weight. Ultimately, the BMI labels millions of Americans as obese or underweight, that indeed may not be at all. "BMI is a great overall measure of a population’s obesity status but it should never be used for an individual," said Dr. Robert Davidson, director of the Nutrition and Human Performance program at Logan University. "This is because it is overly simplistic as a weight-to-height ratio and has no predictive power to predict the body composition of an individual due to the many factors that contribute to body composition, none of which are caused by either height or weight." Why does BMI exist if it's such an ineffective stat? Even the guy who developed BMI in the first place raised his hand with a caveat on his healthy math problem. Back in the 19th century, Belgian statistician Lambert Adolphe Jacques Quetelet (yikes!) created the Quetelet Index of Obesity, which is the current BMI formula but with a way cooler name. Since Quetelet was a mathematician and not a doctor, he said at the time that the index shouldn't be used to indicate overall health. Nobody listened, apparently. BMI stuck. Now, doctors have used it to compare patients, while insurance companies have used it to evaluate members. It turns out that Quetelet may have been right all along, which, again, makes you wonder why no one listened to him. Around 54 million Americans who are categorized as obese or overweight according to BMI are actually neither, and BMI isn't the best predictor of cardiovascular disease. So why doesn't anyone do anything about it? Perhaps the most surprising aspect of BMI's continued prominence isn't that it's a shaky health stat -- after all, what formula could perfectly capture a person's health? -- but that it is so resilient, even when there are better tools available. Some suggest it's a matter of easy algebra. "I don't know why we put so much stake in it. Maybe because it was simple to do," says Dr. Davidson. 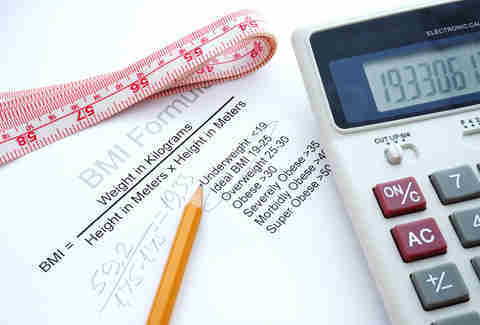 "Research people, people in the fitness industry have known for a long time that BMI is not a good indicator of health. But, in the medical community, once that information is in a medical textbook, it's really difficult to change it because doctors follow along with what's in the previous textbook when they write a new one." Many experts say BMI has persisted because it's useful for aggregating larger populations, though it doesn't serve much use on a per-person level. "[BMI] was actually made to look at the health of larger populations. It was not designed for individuals to track their health," said Dr. Matt Tenneberg at Arcadia Health and Wellness Chiropractic, where he works with professional athletes. "The reason that it works so well for population studies is because it works most of the time, not all of the time. The errors in a larger population study will eventually regress back to the mean and the data will be relatively accurate. On an individual basis, you want the measurement to be as accurate as possible." So how can I tell if I'm healthy? 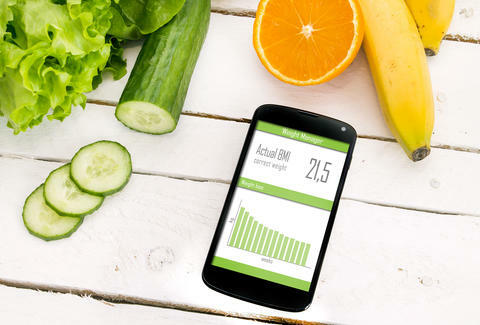 Thanks to technology (sometimes it's good, technology), there are better ways to calculate your overall health -- though it's also smart to see a doctor. Dr. Davidson says that more accurate measurements that calculate body fat (as opposed to weight), and whether or not you need to lose weight, including such Googlable wonders as underwater/hydrostatic weighing, bioelectrical impedance, DXA, MRIs, and the BODPOD. Still, each of these has its drawbacks, as some come with a hefty price tag and others only focus on fat. "Every biomarker of health status improves with improving physical fitness and none of them improve with change in body weight alone," Dr. Davidson adds. "Again, BMI is often used to describe a population and identify relationships in a population, but should never be used to try to predict anything for an individual." Carson Quinn is a writer based in Indianapolis, whose daily intake of green beans is shockingly high, all in hopes of keeping her BMI within the "normal" range. Follow her on Twitter: @newscarson.